A new project has come along, and we will document the process here. It is in fact not really a new project but has been a family occupation for about 12 years now. 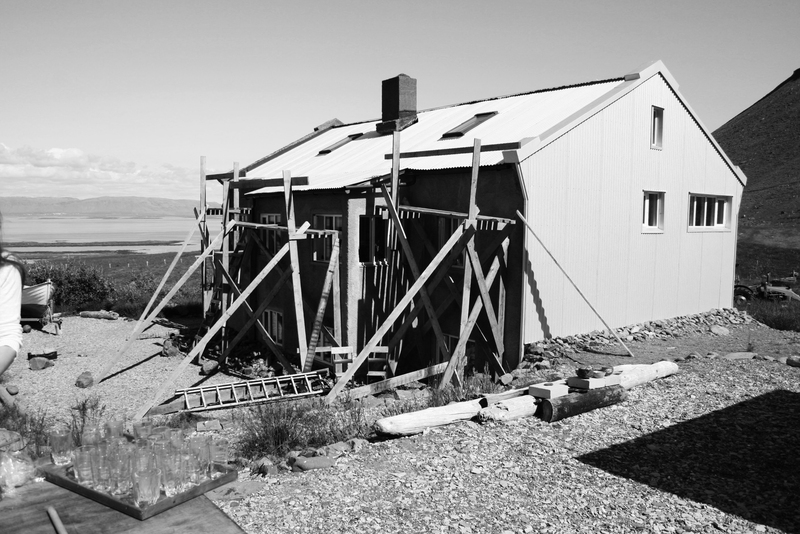 My family acquired an abandoned farm house on the west coast of Iceland and this house has been renovated and developed over time. Now one of the outbuildings, currently vacant, is to be reintegrated and possibly extended. The house at Nýp was built in 1936-37 by the farmer who owned the land and his family. At that time there wasn’t a road system and transportation of materials was a difficult and slow process. The necessary materials that were not locally found (cement and iron) were ordered through the local coop and came there mainly from Denmark. The first Icelandic cement factory wasn’t established until the late fifties (and has in fact recently shut down, a questionable act but should be discussed in another post!). At the time any rural constructions were almost always auto constructed. The local material available (sand and rocks that made up the rest of the concrete) where transported on horses from the beach in this case up to the construction site. Any sort of tools were not available at this time, the concrete was mixed by hand in a crater in a small mountain of sand on a solid impermeable base (made of stamped earth, almost clay-like). This produced small amounts at a time, which along with the shortage of wood for casting, resulted in a long building process. In the case of Nýp it is likely that one wall would have taken about a month to complete. As mentioned, wood was scarce at the time and the wood for the casts would be used for one wall at a time, reused for the next and so on and at last used to make the roof. The site at Nýp had an existing barn which was used as part of the house (see interior photo below). The quality of the concrete varied greatly, to extend the costly material cement, a lot of rocks and gravel were mixed into the concoction. This creates walls that are between concrete and stone walls. The walls where mostly not reinforced, but the iron used only where absolutely necessary, as a frame around openings. 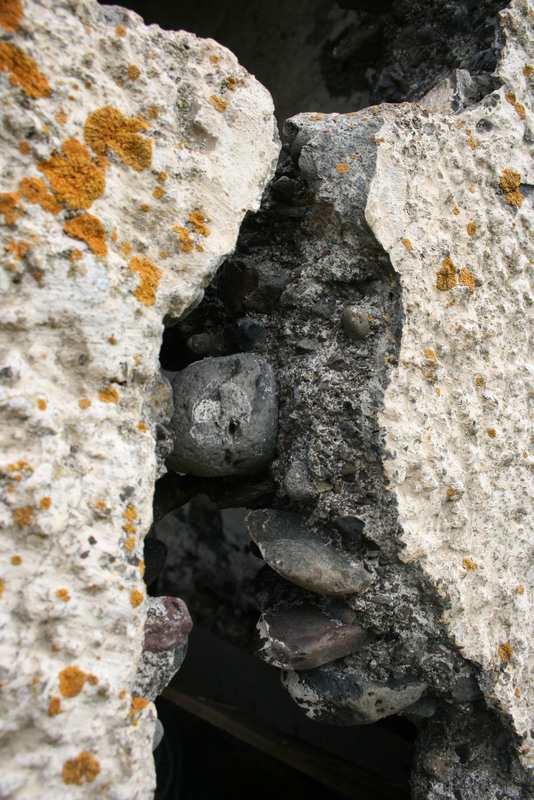 A common mistake in these houses was to leave the iron too close to the surface causing cracks in the concrete. In these first concrete buildings the openings, windows and doors, had a cast concrete frame. Within the frame a groove for the glass was cast, where each pane was held in place by a primitive sealant. As you can see in the photos the concrete leaves traces on the windows from leakage, making them hard to see out of. There was practically no foundation on these early houses. The ground floor was poured straight on the ground in a layer on about 5 cm. The floor would of course crack as the building moved with the ground to finally settle more or less in one place, but then larger cracks would be left in the whole structure. A part of this rather significant movement of the building was also that there was no draining around the house, cause the spring water cascading from the surrounding mountains to pass quite freely through the ground floor. As you can imagine, living in these structures must have been cold, damp and stuffy (one cannot make an openable window in a concrete window frame). Only the official or more wealthy owners would have windows of iron, that could eventually open. 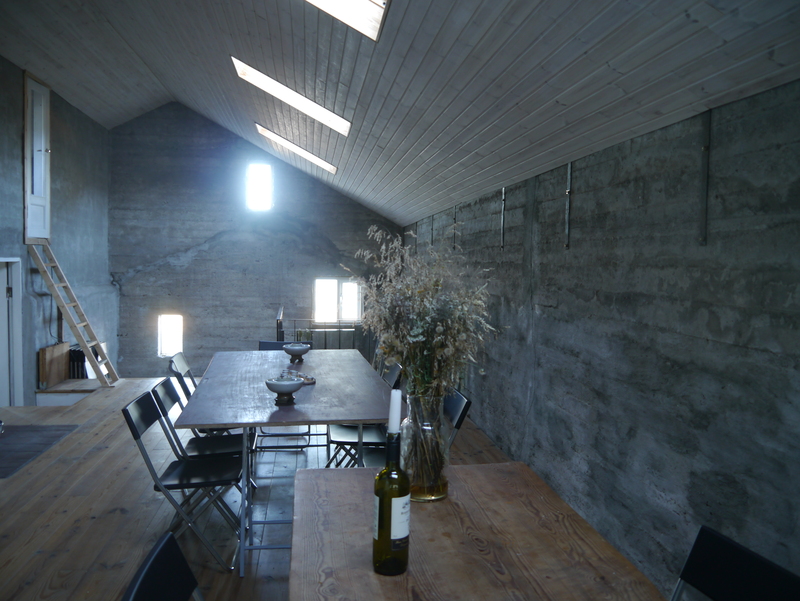 There is a recognisable type of concrete farm houses for living and for beasts and sheds in the Icelandic countryside. Drawings where sent out from the farmers associations to help people construct what they needed, and in many cases these were used. At Nýp the main house carries a trace of that, the old barn used as a part of the wall for the new one is one of these typical barns (see featured image, the type from a neighbouring farm), while the rest of the building is “improvised” or the form follows a need at the time of the construction. As described above the house was not a very comfortable one. None of them were. But they symbolised a change, a progress and it was deeply imbedded in these people that this was the way forward, not continuing to live in the turf houses, that may have had a more healthy, warm and comfortable atmosphere. These were a thing of the past. When we took over the house in 2001, it had been abandoned for around 35 years. The floors in the inhabited part had caved in, there was a 4 cm crack going through the whole wall. 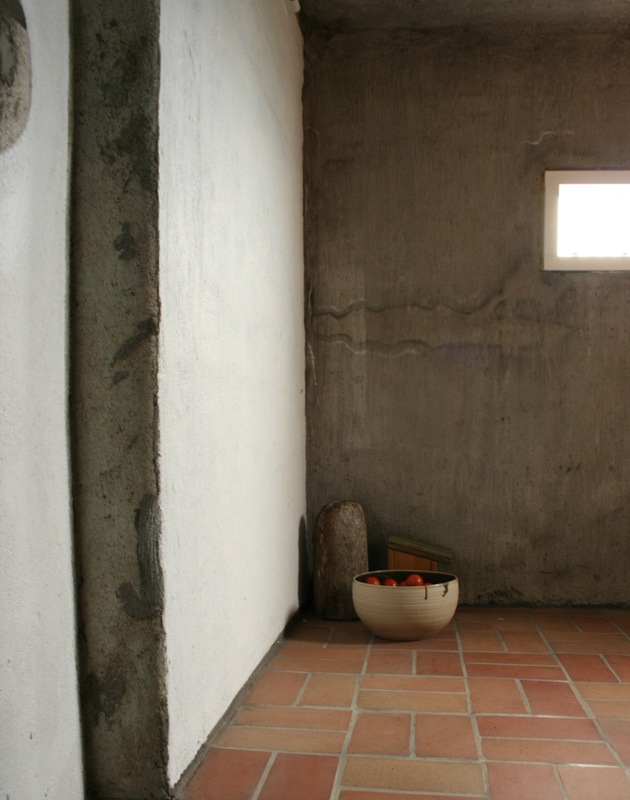 The concrete window frames had been replaced by wooden ones (in the seventies) and the exterior had been rendered in cement. Apart from that it had not been changed since it was built. The character of the house has been allowed to stay the same, important traces such as the original barn house are clearly visible and one can read from it a certain history. This does not mean that the house hasn’t been significantly changed, mainly to make it inhabitable. A draining system to dry it out was of course the first thing to do. The house had settled, so even though there are no foundations it is not going anywhere. It has been insulated, partly from the interior and partly from the exterior. The handmade walls are beautiful and are ingrained with the history of the area – so it was important to keep parts of them visible. The changes made, have been made with a very modest budget and continued to be mostly hand made, so that the new does not overshadow the old, but feels like a continuity of a certain process. In fact the house is a constant process, and now we will be taking a more active part in this process. Attached to the main house is an concrete barn, now used as a storage shed. This will now become a more active part of the complex along with a small extension. We will try not to break with the history of the house, but to become a part of its future. More on that later. 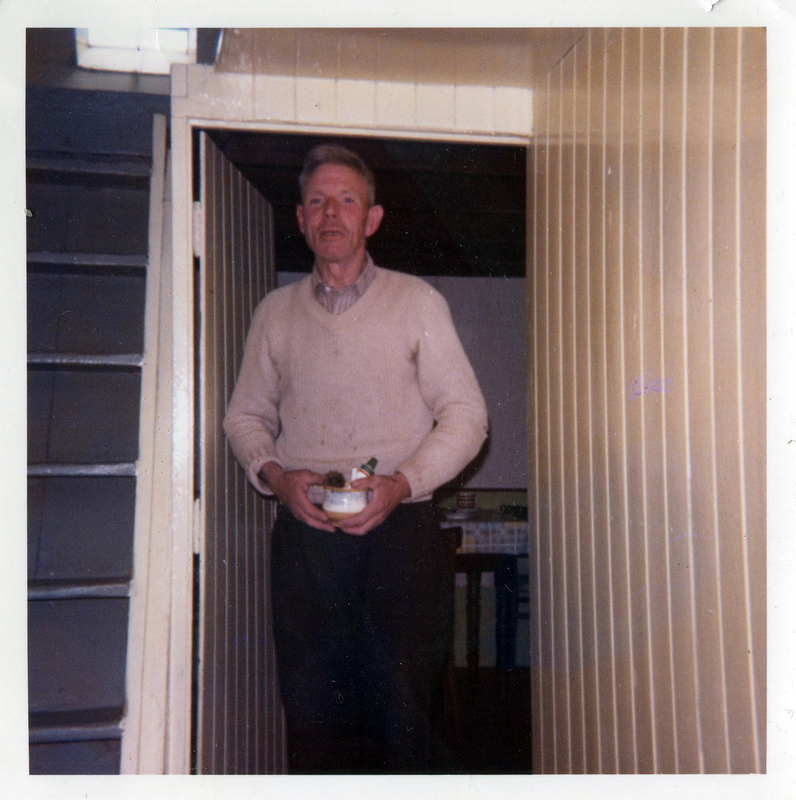 Many thanks to my parents for filling in the gaps of my historical knowledge and providing photos (the old photos are from the fifties, the interior shot towards the inner facade was taken by my mother Þóra Sigurðardóttir). 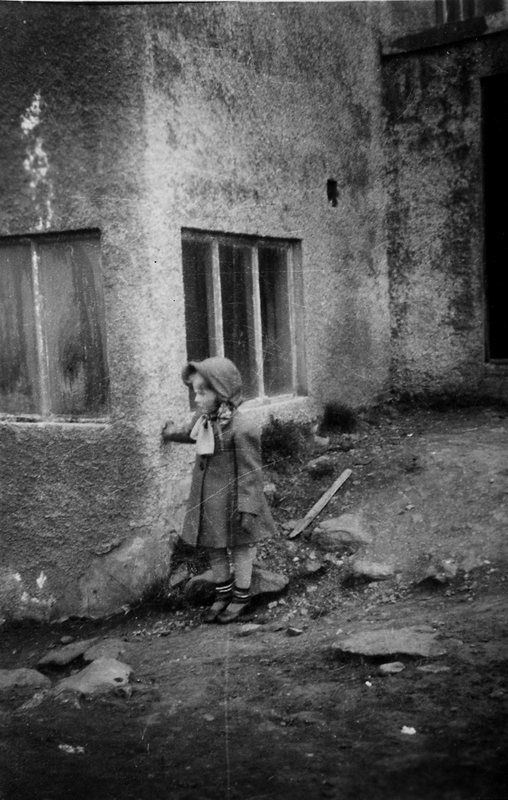 It’s great to hear more about Nýp, and see the beautiful photographs again – I can’t wait to get started with the project! 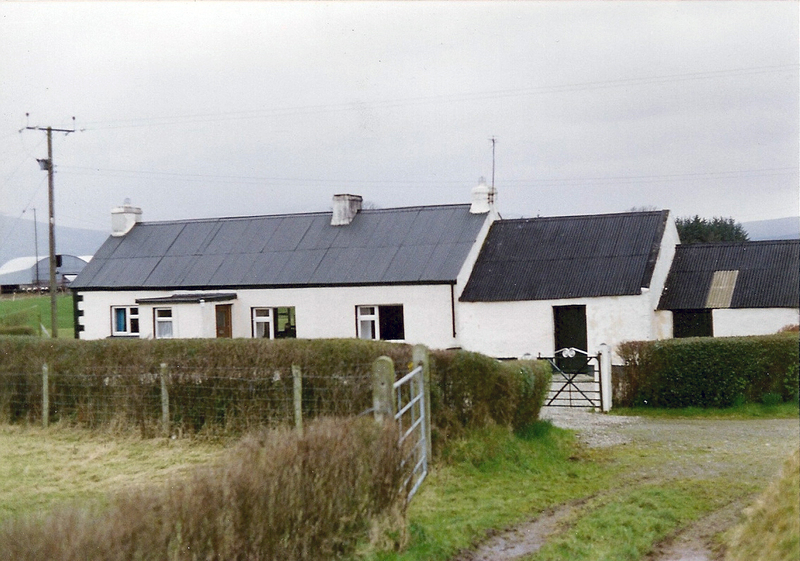 I decided to look at a similar, self-built rural dwelling – my great-uncle’s cottage at Gortnaskae near Draperstown, Northern Ireland. Despite its remote location, the cottage was the site for most of my father’s family gatherings when I was a child, and I have a lot of good memories of the place. The first records of the house appear in mid-19th century, when the house was valued at just £1, and classified as a 3rd class dwelling. The original structure contained just 2 low rooms with a narrow loft space above. 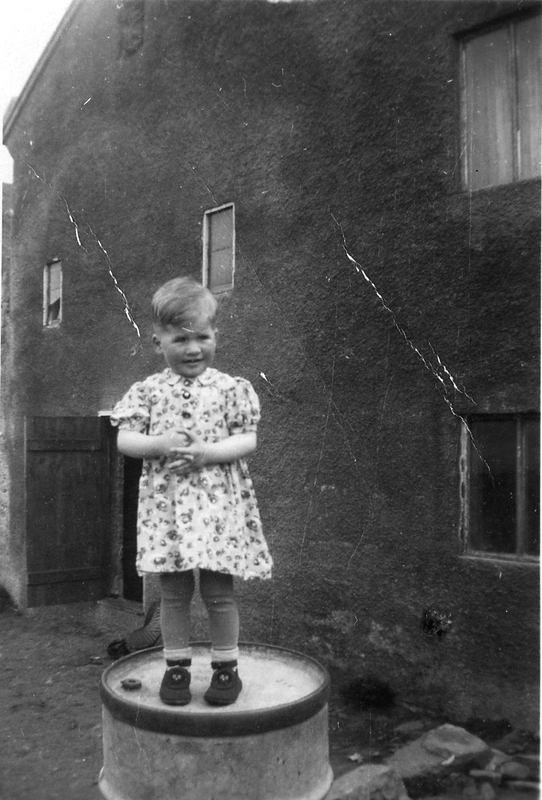 In the 1901 census the building is described as 2 dwellings, with my father’s grandfather and family occupying the original structure and his great-aunt and lady friend living in what I remember as the byre (cowshed) – a single room added to the side of the principal house. A third addition was later added – a small cowshed – giving the roof its distinctive stepping form. 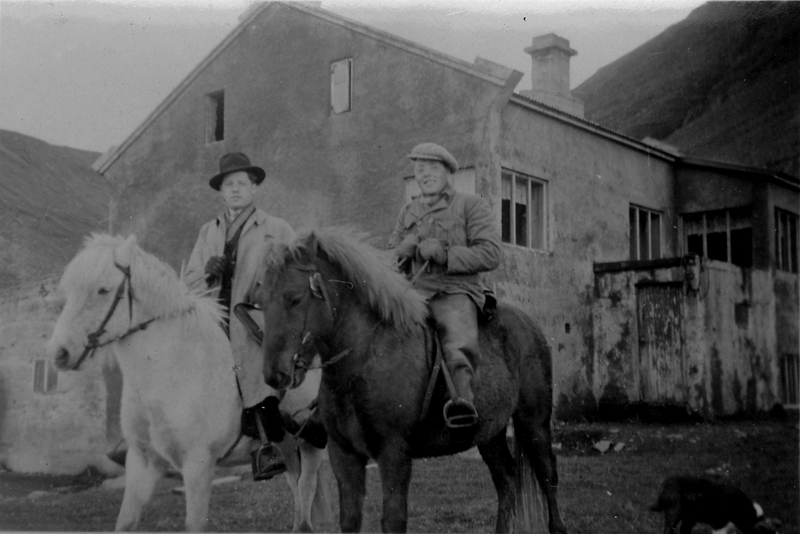 By the census of 1911 there was a family of six living at Gortnaskae, and the farm had developed significantly, with the addition of four outhouses – a stable, byre, piggery and barn. In the 1950s an additional room was added, and the original thatched roof was replaced with corrugated metal sheeting. Thatching is costly to upkeep, and requires manpower. With fewer family members living at Gortnaskae it would not have been possible to maintain the thatch. 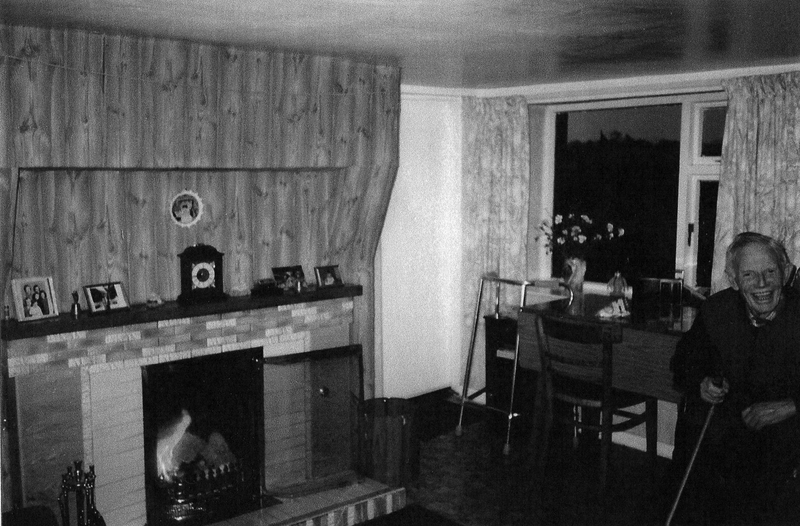 The cottage was extended again in the 1960s, with the introduction of a kitchen and plumbed toilet. It is interesting for us now, in a time of hypersensitivity in our planning departments, to look back at these self-built dwellings that have evolved in such an ad-hoc manner to meet the needs of their inhabitants. For our work at Nýp – it is important not to be too nostalgic, but critical in deciding what features of the historic building deserve to be retained or revealed, and to identify areas where modernisation or addition is appropriate. The charm of these old buildings is partially down to the way in which they have been cobbled together over the years, and we should not be afraid of engaging in this process. 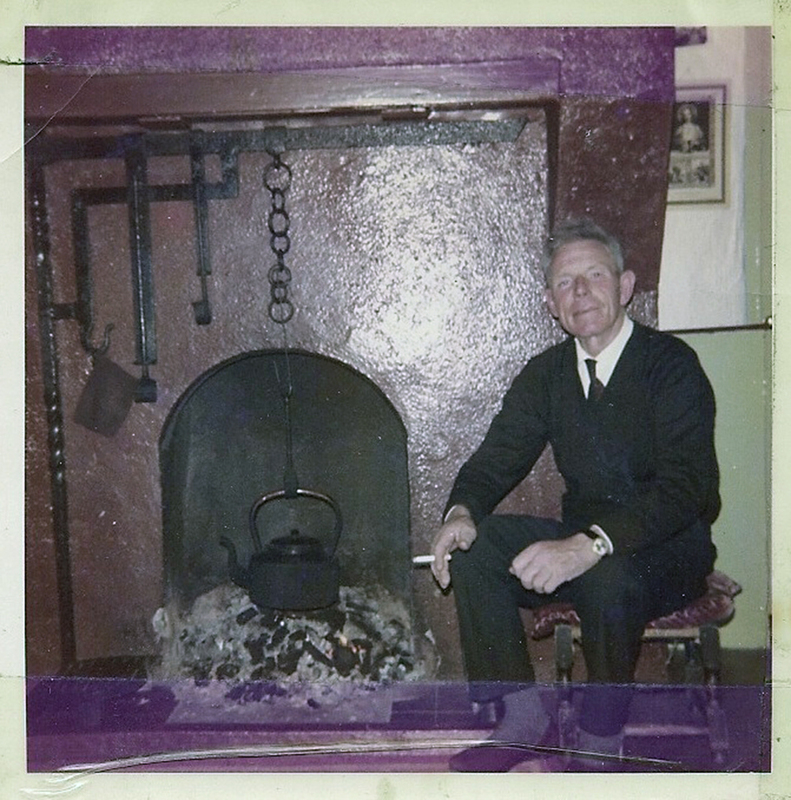 When I was looking through my father’s photographs I came across one of my great-uncle Frank in front of the open hearth. My memory is of a smaller fireplace that was presumably inserted into the original inglenook during the renovations in the 50s and 60s. Today, this seems surprising – but it is often the case that important features of historic structures become hidden behind the very improvements required to keep them in use. Some of my memories of the house are fonder than others… I remember spending a night in the bedroom added in the 1960s in the winter. It was FREEZING! The 50’s and 60’s extensions were constructed very simply – the walls are constructed from concrete blockwork and are just 1 block thick. This is unfortunate because the original house would have been extremely well insulated. The walls are incredibly thick – the window reveals are at least half a metre deep. These mud walls were most likely made from a mixture of clay, sand and straw – cob construction. Mud walls provide fantastic insulation, and are evidently extremely durable. In combination with the original, deep thatched roof and small windows (not to mention the large family), the cottage would have been very cosy. Both building have basic forms, made from readily available materials and were furnished simply. They were built in the days before plumbing and electricity, when to self-build was the norm. Now we do things rather differently, but we can always learn something from vernacular buildings, and appreciate their unique character. Apart from some specialist services, self-built dwellings are still a viable option for rural locations. That is not to say there is no role for the architect – I seem to be talking myself out of a job! The challenge at Nýp is to design a structure that can be built by Sigrún’s parents, with some help from his neighbours, family and friends. A simple, robust architecture is called for. The restricted palette and budget, should allow us to focus on what is essential – to hone the form, proportion and spatial characteristics of our intervention. Very exciting! Thanks to my father, my aunt Mary and their cousin Janet for passing on all the photographs and history.